After World War 2, Spain had been left with obsolete German tanks following its support in the Spanish Civil War. Spain had been viewed up until 1953/4 as a fascist country, however as the Cold War grew the US was able to secure the ability to build Airbases such as Zaragoza Air Base and construction started in 1954. In the same year under the US Mutual Defense Assistance Act, Spain was supplied with M47’s (which were upgraded M46’s) and M48 Patton Medium Tanks. Spain was then able to secure licence production of the French state manufacturer GIAT’s AMX-30 Medium Battle Tank in 1970 and when production was completed in 1979 their M47/M48 Patton’s were obsolete. USA – The new M1 Abrams was offered for purchasing, but rejected (possibly due as a licence for production wouldn’t have been possible). UK – The Vickers Mark 7 AKA the Valiant, which was also rejected. France – GIAT offered a joint development project. This was rejected as France would not allow Spain to export the new tank. Italy – As a licensed manufacturer of the Leopard 1 and development as well as export of the OF-40, Italy also offered a joint development project as a replacement of the Leopard 1. Germany – Krauss-Maffei and Spanish company Santa Bárbara presented a joint bid. Production of the Leopard 2 was well underway with KM by this time and they had the ability to offer German MTU 1500hp engines and the 120mm L44 smoothbore, which were successfully used on the Leopard 2. 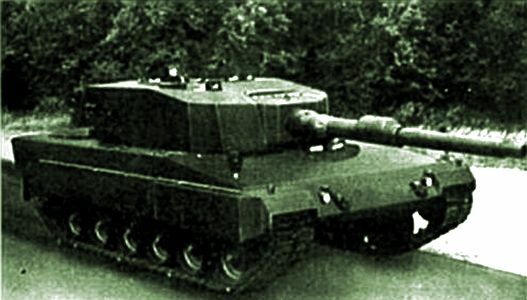 Both firms built a prototype using the later engine and smoothbore gun and looked like a Leopard 2, leaving the joint bid the only runner for the new Spanish Lince (Lynx). The joint bids design was smaller and lighter than the Leopard 2. It weighted in at 49 tonnes and could fire on the move thanks to a stabilization system as well effective day and night sights. Its 1200hp engine, gave a top road speed of 70km/he’s. The vehicles all over dimensions were smaller than the Leopard 2. The French Leclerc was offered for licence production and the right to export was also included in this offer. That all current AMX-30E’s would be upgraded. Spain negotiated delivery of ex-surplus M60A1’s & M60A3 Patton tanks from Spain. The indecision by the Spanish Government to go with either the Italian offer of a joint development or Krauss-Maffei and Spanish company Santa Bárbara’s joint bid saw KM pull out of the bid. All these events led to the termination of the Lince project and Spain in later years successfully secured a licence to build the Leopard 2A6, which is called the Leopard 2E.